Chinese telecom giant ZTE agreed to pay U.S. penalties of $1.2 billion for shipping equipment to Iran and North Korea. Chinese telecommunications giant ZTE Corp. agreed to pay U.S. civil and criminal penalties totaling $1.2 billion for illegally shipping telecommunications equipment to Iran and North Korea, the largest fine and forfeiture penalty ever imposed in a U.S. export control case. ZTE pleaded guilty to violating U.S. export and sanctions regulations and obstructing justice with “false and misleading” statements during the investigation of its activities, the U.S. Commerce Department said in a March 7 statement. The regulations control the sale of sensitive U.S.-origin technologies. ZTE “conspired to evade” the U.S. embargo on Iran between 2010 and 2016 in order to “supply, build, operate and/or service large scale telecommunications networks in Iran” using U.S.-origin equipment and software, the Commerce Department said. “As a result of the conspiracy, ZTE was able to obtain hundreds of millions of dollars in contracts with and sales from such Iranian entities.” ZTE also made 283 shipments of items to North Korea, including items controlled for national security purposes, such as routers, microprocessors, and servers, according to the statement. ZTE engaged in evasive conduct designed to prevent the U.S. government from detecting its violations, the Commerce Department said. ZTE Chairman and CEO Zhao Xianming said in a March 7 statement that the company acknowledged “the mistakes it made” and is instituting new “compliance-focused” procedures. Under the settlement, ZTE will be subject to audits and additional compliance requirements. The terms specify that $300 million of the penalty will be suspended if ZTE abides by all regulations during a seven-year probationary period. Media Contact: Kelsey Davenport, director for nonproliferation policy, (202) 463-8270 ext. 102. (Washington, D.C.)—Senator Bob Corker (R-Tenn.) and 13 other Senators introduced a new Iran sanctions bill that would, if enacted, jeopardize the success of the July 2015 multilateral nuclear agreement with Iran, known as the Joint Comprehensive Plan of Action. Although the legislation (S. 722) focuses on areas not explicitly covered by the nuclear deal, such as Iran’s ballistic missile activity and support for terrorism, sections of the legislation risk undermining U.S. commitments in the agreement. This section of the proposed legislation would violate the spirit of the U.S. commitment not to take actions that impede Iran’s access to sanctions relief. It imposes mandatory sanctions on entities whose activity “poses a risk of materially contributing” to Iran’s ballistic missile program. This language is overly broad and imprecise, making it difficult for any company considering business with an Iranian entity to ascertain if that entity is involved in activities that could pose a risk of contributing to Tehran’s ballistic missile development. This provision would likely prevent third party companies and banks from doing business with Iran by generating unnecessary risks. Creating this obstacle runs contrary to paragraph 26 of the nuclear deal, which says that: “United States will make best efforts in good faith to sustain this JCPOA and to prevent interference with the realization of the full benefit by Iran of the sanctions lifting specified in Annex II.” This language also risks alienating U.S. partners in the agreement–France, Germany, the United Kingdom, Russia and China–and sanctioning entities in these states for engaging in legitimate business permitted by the nuclear deal. This section could prevent the United States from fulfilling its commitments to remove individuals and entities from the sanctions designated list on Transition Day, which will occur in 2023 at the latest. According to the text of the nuclear deal, on Transition Day, Washington will delist a set group of individuals and entities, including some designated for ballistic missile activity under Executive Order 13382. The bill will prevent the president from delisting individuals unless a certification is issued that the individual or entity has not engaged in activities related to Iran’s ballistic missile program in the prior three months. Continued engagement in illicit ballistic missile activity by these listed entities is undesirable, but there are no conditions for delisting these entities under the deal. If the president cannot fulfill U.S. obligations to delist individuals and entities, the United States would be in violation of the nuclear agreement. Iran’s support for terrorist groups is destabilizing and its continued testing of ballistic missiles runs contrary to the spirit of UN Security Resolution 2231, but risking the success of the 2015 agreement, which is blocking Iran’s pathways to the nuclear weapons, is irresponsible and dangerous. For more than a year, Tehran’s nuclear activities have remained restricted and heavily monitored and, according to the most recent report from the International Atomic Energy Agency, Iran is continuing to abide by its commitments under the nuclear agreement. Before rushing to support this legislation or future bills on Iran, members of Congress should carefully and fully consider the impact on the Iran nuclear deal and the consequences of undermining the accord. Without the continued and effective implementation of the Joint Comprehensive Plan of Action, Iran’s nuclear program would be subject to less monitoring and far fewer restraints, posing a proliferation risk and threatening international security. Additional sanctions as proposed in S. 722 risk the future of the deal and are unnecessary and unwarranted at this time. The administration so far is sticking with U.S. obligations under the nuclear deal denounced by the president. As the Trump administration says it is weighing additional sanctions on Iran, some of the measures reportedly being considered could endanger the landmark nuclear accord between Tehran and world powers and hurt U.S. national security interests. Under the 2015 nuclear deal, Iran accepted limits on its nuclear activities and increased monitoring to ensure that its nuclear activities are entirely peaceful. Iran is complying with its obligations, International Atomic Energy Agency (IAEA) Director-General Yukiya Amano said Feb. 14. In return, Iran received sanctions relief from the United States, European Union, and United Nations. Washington lifted certain nuclear-related sanctions and committed under the terms of the agreement not to reimpose those measures and to refrain from passing any new nuclear-related sanctions “acting consistent with the respective roles of the president and the Congress.” Thus far, Washington has abided by these obligations. To continue to fulfill its responsibilities under the deal, which was negotiated between Iran and six countries known as the P5+1 (China, France, Germany, Russia, the United Kingdom, and the United States), the United States will need to continue to waive sanctions if Iran remains in compliance. A key decision point comes in late May, when the Trump administration for the first time will need to reissue the sanctions waivers that carried over from the Obama administration. 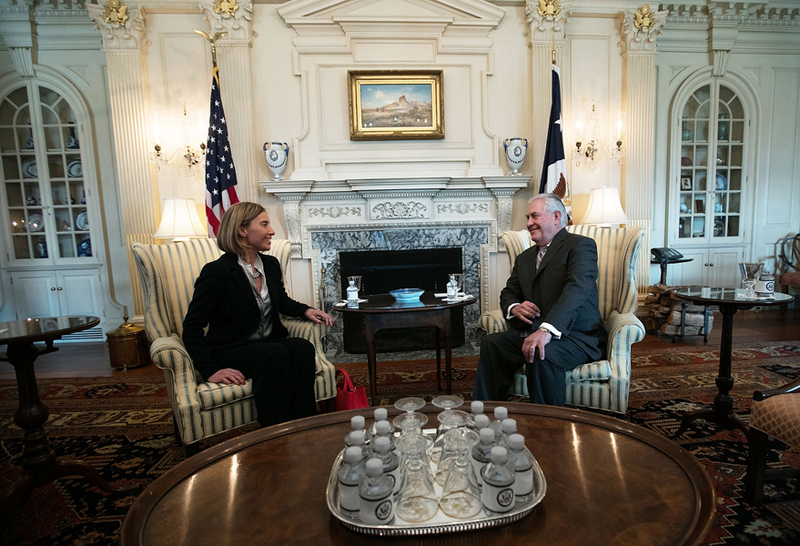 EU foreign policy chief Federica Mogherini, who coordinated the P5+1 position during negotiations and now oversees implementation for the group, met with officials at the U.S. State Department and White House in early February. Afterward, she told reporters that “the United States is committed to the full implementation” of the nuclear deal. Yet, statements by President Donald Trump, who has repeatedly denounced the agreement as “one of the worst deals” ever negotiated, and some members of Congress call Washington’s commitment into question. There are reports that the administration is considering whether to designate the Islamic Revolutionary Guard Corps (IRGC), Iran’s most powerful security and military organization, as a foreign terrorist organization. A decision by the Trump administration to designate the entire IRGC organization, which wields major economic and political influence in Iran, would complicate U.S. goals in the Middle East and have ramifications for the nuclear deal. Although the United States retains the ability under the deal to impose further sanctions for activities such as support for terrorism or ballistic missile development, Washington committed to “refrain from any policy specifically intended to directly and adversely affect the normalization of trade and economic relations with Iran.” If the IRGC is designated a foreign terrorist organization, anyone conducting transactions with an entity in which the IRGC holds an interest, which covers many areas of the Iranian economy, would be subject to U.S. sanctions. Russian Deputy Foreign Minister Sergei Ryabkov told reporters in Moscow on Feb. 6 that “new obstacles, specifically new sanctions and banking obstacles” imposed by the United States, are not acceptable to Russia. Ryabkov’s comments followed a meeting with Iranian Deputy Foreign Minister Abbas Araghchi, a senior nuclear negotiator. Beyond endangering the nuclear deal, a broad sanctions designation against the IRGC could have damaging regional implications, including in neighboring Iraq, which relies on military help from the United States and the IRGC and where the IRGC could become a renewed threat to U.S. forces. Some analysts warn that further U.S. sanctions could strengthen hard-liners heading into the May 2017 Iranian presidential elections, as well as complicate international efforts to resolve conflicts in places such as Syria and Yemen, where the IRGC is active. These factors, which do not rule out the application of further sanctions, highlight that that close consideration will be needed to the consequences of additional measures and to possible alternatives. Twice since the deal was fully implemented in January 2016, the United States has issued new designations on individuals and entities involved with Iran’s ballistic missile program. Despite this inclusion, Iran has continued to test ballistic missiles. Its most recent test on Jan. 29 involved a missile with a range and payload that fits into the definition of nuclear capable, meaning it can deliver a 500-kilogram payload a distance of more than 300 kilometers. That test drew rebukes from Washington and European capitals, asserting the test was inconsistent with the spirit of Resolution 2231. Iran countered that the missile is permitted because it is not “designed” to carry a nuclear warhead. Following that test, the United States issued designations on individuals and entities under Executive Order 13382, “which targets proliferators of weapons of mass destruction and their means of delivery and supporters of such activity,” according to the Feb. 3 Treasury Department press release. A senior official in a White House-arranged call to reporters said that the designations were made “outside” of the nuclear deal and that the United States “continues to implement its commitments” under the deal. The official, who spoke under terms requiring anonymity, affirmed that none of the entities designated on Feb. 3 were on the list of individuals and entities the nuclear deal delisted. Relisting entities could constitute a violation of Washington’s commitment not to reimpose certain sanctions. President Barack Obama issued similar designations in response to ballistic missile activities in January 2016, the day after the nuclear deal was fully implemented. The Obama administration, however, retained communications with Iran after the negotiations were completed and was able to communicate directly that, despite the designation actions, Washington remained committed to the agreement. It also sends mixed signals to anxious allies, whose support is needed in dealing with Iran. Washington’s P5+1 partners and Iran cannot “learn about Trump’s policy toward the deal over social media,” the European official said in his email. He urged the new administration to maintain close coordination with the P5+1 partners and to establish clear lines of communication with Iran to “prevent mixed messages” about U.S. intentions toward the agreement. Iran’s president calls the action a “gross violation” of the nuclear accord. Iran denounced U.S. congressional action to extend sanctions against the country as a violation of the nuclear deal it negotiated with the United States and its partners. The sanctions, set to expire at the end of 2016, were extended for 10 years. As part of the nuclear deal, Washington is waiving certain sanctions on Iran, including provisions of the Iran Sanctions Act, in return for limitations on Iran’s nuclear activities. The Obama administration maintained that the 10-year extension of the Iran Sanctions Act was unnecessary, but said the action does not violate U.S. commitments under the nuclear deal. U.S. Secretary of State John Kerry said that the extension was not necessary for accountability to the nuclear deal and that, had the act had expired, the administration “would continue to have all the authorities” needed to reimpose sanctions quickly. Despite President Barack Obama’s assurance that the measure was not needed to snap sanctions back into place in the event of an Iranian violation of the deal, Congress overwhelmingly supported the extension. The legislation passed 419-1 in the House of Representatives on Nov. 15 and 99-0 in the Senate on Dec. 1. The bill officially became law on Dec. 15, after Obama in a symbolic move chose not to sign it. When Congress is in session, the president has 10 days to sign or veto any legislation sent to the White House. If the president takes no action during that period, as in this case, the bill becomes law. Kerry said that the extension “does not affect in any way the scope of the sanctions relief” nor the ability of companies to do business in Iran consistent with the nuclear deal. Kerry said he renewed the sanctions waivers required by the nuclear deal on Dec. 15, even though the existing waivers were not impacted by the Iran Sanctions Act renewal, “to ensure maximum clarity and convey to all stakeholders that the United States will continue to uphold our commitments” under the deal. President-elect Donald Trump will need to continue waiving sanctions on Iran to meet U.S. commitments under the nuclear agreement. Waivers typically last 120 or 180 days, but can be reissued early. If Kerry does not reissue the waivers before Obama leaves office, the earliest the Trump administration would need to reauthorize the waivers is mid-April. Despite assertions by Obama and Kerry that the extension of the Iran Sanctions Act is consistent with U.S. obligations under the deal, Iranian officials called it a violation and took steps to respond. Iran on Dec. 16 called for a meeting of the joint commission established by the nuclear deal to discuss the implications of the U.S. action. Any participant in the nuclear deal (China, the European Union, France, Germany, Iran, Russia, the United Kingdom, and the United States) can request a meeting of the commission at any time, and the coordinator has one week to convene the participants. That body has a working group on issues related to lifting sanctions. 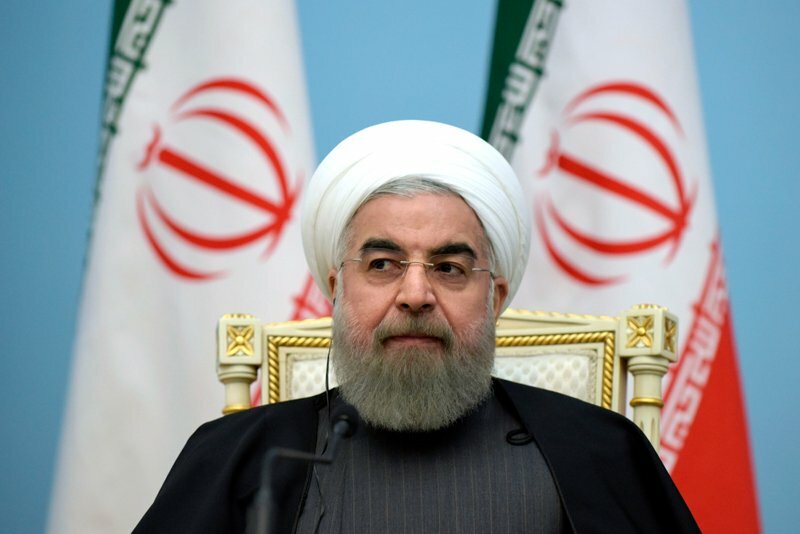 Rouhani announced on Dec. 13 that Iran would begin researching and developing nuclear propulsion for marine vessels. Specifically, he called for the Atomic Energy Organization of Iran (AEOI) to “plan the design and construction of a nuclear propeller to be used in marine transportation.” White House Spokesperson Josh Earnest said the announcement “does not run counter” to the deal. Ali Akbar Salehi, head of the AEOI, said he discussed the plans with International Atomic Energy Agency (IAEA) Director-General Yukiya Amano during Amano’s visit to Tehran on Dec. 18. Salehi said the work on marine propulsion will be conducted within the framework of the nuclear deal and consistently with IAEA safeguards. Salehi said he spoke with Amano about how the project will fit within the IAEA framework. The IAEA statement on the meeting confirmed that Amano sought clarification about Iran’s plans for marine nuclear reactor research. Under the nuclear deal with the United States and other world powers, Iran is prohibited from enriching uranium to a level higher than 3.67 percent for 15 years. Naval nuclear reactors typically require fuel with a higher level of uranium enrichment. China, for instance, operates naval reactors with uranium enriched to 5 percent, and the United States uses weapons-grade enriched uranium (greater than 90 percent) for its naval reactors. When President-elect Donald Trump takes office Jan. 20, he will inherit an array of foreign policy challenges. But unlike his predecessor, the list will not include the risk of a nuclear-armed Iran—unless Trump pursues a reckless plan to dismantle the nuclear deal or allows it to fall apart. As a result of the historic agreement negotiated between the United States, its partners, and Iran in July 2015, Tehran’s nuclear activities are strictly limited and subject to intrusive monitoring for over a decade. The comprehensive set of restrictions in the deal known as the Joint Comprehensive Plan of Action (JCPOA) has increased the time it would take for Tehran to obtain enough enriched material for a bomb from 2-3 months in 2013 to over 12 months today. In return, Iran received relief from nuclear-related sanctions imposed by the United States, the European Union, and the United Nations. Though Trump has not to date provided specifics on how he will approach the nuclear deal and relations with Iran, his rhetoric on the agreement during the campaign was dangerous and ill-informed. In a March 21, 2016 speech to the American Israel Public Affairs Committee, Trump said his “number one priority is to dismantle the disastrous deal with Iran.” On the campaign trail, Trump frequently called the agreement the worst deal ever negotiated and said he would seek to renegotiate it. Possible cabinet members and advisers who have strong views on the agreement could also influence Trump’s policy toward the nuclear deal. The presumptive National Security Advisor, former Director of the Defense Intelligence Agency Lt. Gen. Michael Flynn, and presumptive CIA Director, Congressman Mike Pompeo (R-Kan.), have both been critical of the Iran deal. 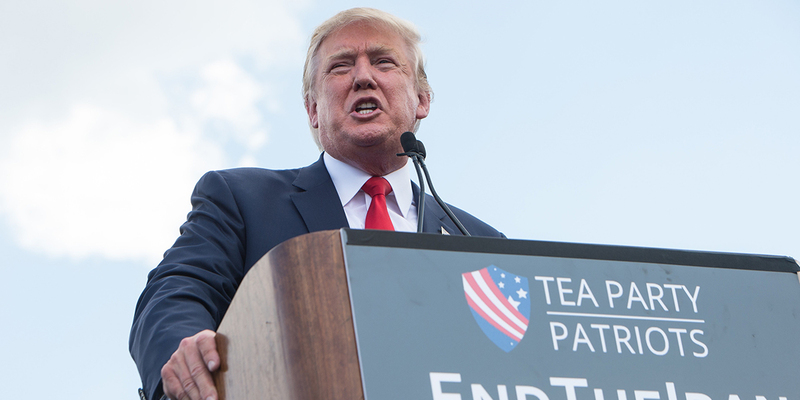 There are two plausible scenarios by which Trump could unravel the nuclear deal with Iran. First, the new president could pull the United States out of the deal by unilaterally renouncing the agreement, ceasing U.S. implementation of its commitments under the deal. Iranian President Hassan Rouhani has said Iran's commitment to the deal will not waiver, despite any action by Trump to threaten the agreement. But it remains unclear if the deal can survive without the United States. A second scenario, which is perhaps more likely, is that Trump and the Republican-led Congress could slowly chip away at the agreement and create an escalatory dynamic that eventually provokes Iran into taking action that leads to the deal’s collapse. In this scenario, Washington would rigorously enforce the deal, leveraging legitimate ambiguities in the text against the spirit of the agreement, and prejudicially declare technical issues to be intentional violations. Separately, Washington could impose sanctions apart from the deal under the label of human rights violations, ballistic missile activity, or support for terrorism. If such sanctions were imposed as a means of skirting U.S. commitments not to impose new nuclear sanctions under the deal, Iran would likely respond by challenging provisions of the agreement more aggressively or by taking steps in other areas that would heighten tensions between Tehran and Washington. This escalatory spiral could eventually cause the agreement to collapse. Before putting the United States on one of these paths, President-elect Trump should evaluate the potential loss of nonproliferation benefits ensconced in the deal that contribute to U.S. security interests, and the likely obstacles to renegotiation. When fully implemented, the nonproliferation benefits of the Iran deal are clear—the combination of limits and verification measures block Tehran’s pathways to nuclear weapons. If the deal is dismantled, and the United States no longer feels obligated to its implementation, it is safe to assume that Iran may no longer feel the need to adhere to its limits either. The deal created a multilayered inspection regime that covers every step of Iran’s fuel cycle. When combined with national intelligence means, it provides the highest possible guarantee that any deviation from the limits would be quickly detected. Continuous surveillance of key sites. The deal put in place continuous surveillance at Iran’s uranium mines and mills (25 years) and centrifuge production areas (20 years). This additional transparency would be lost if the deal falls apart. Real-time monitoring of Iran’s enrichment activities. The agreement provides real time monitoring of Iran’s uranium enrichment levels for 15 years to ensure that Tehran is enriching uranium only to reactor-grade levels, or 3.67 percent uranium-235. Provisional application of the additional protocol. 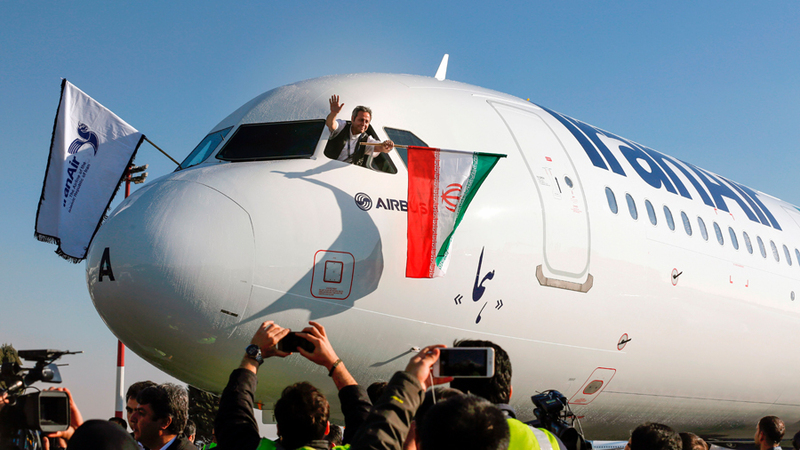 Under the deal, Iran is applying the additional protocol to its safeguards agreement. This gives the International Atomic Energy Agency (IAEA) inspectors enhanced access to information and nuclear sites in Iran. Without the additional protocol, inspectors will have access to fewer sites and lose their ability to conduct shorter-notice inspections. Oversight of Iran’s procurement of materials applicable to nuclear activities. The deal puts in place a procurement channel that provides approval or denial of Iranian requests to import materials or technologies relevant to nuclear development. Time-bound access to military sites to investigate concerns. Under the deal, if IAEA inspectors have concerns about illicit Iranian behavior relevant to developing a nuclear weapon and Iran refuses to grant access, the Joint Commission—created by the deal to resolve compliance concerns—can direct Iran to comply with the request or be found in violation of its obligations. Since the deal's adoption, the enhanced monitoring and verification system has already demonstrated its effectiveness. IAEA inspectors have unprecedented access to Iran's nuclear facilities and report quarterly on Iran's compliance. On two occasions Iran slightly exceeded the limit on its stockpile of heavy water, a material produced by Iran to moderate certain types of reactors. This did not pose a proliferation threat, but inspectors noted the breach nonetheless and the Joint Commission was able to quickly deal with the issue. Move over 13,000 centrifuges, including 1,008 advanced IR-2 centrifuge machines, from monitored storage and begin using them to enrich uranium. When combined with the 6,104 first generation IR-1 centrifuges Iran was allowed to keep under the deal (of which 5,060 are operating), Iran could operate nearly 20,000 centrifuges. Build up its stockpile of enriched uranium. As a result of the deal Iran blended down or shipped out 98 percent of its uranium stockpile and now keeps less than 300 kilograms of uranium enriched to 3.67 percent. With a larger stockpile of enriched uranium, Iran could move more quickly to a significant quantity of weapons-grade uranium (25 kilograms of greater than 90 percent uranium-235). Enrich to levels higher than 3.67 percent. Under the deal, Iran is limited to enriching uranium to 3.67 percent for 15 years. If the deal falls apart, Tehran could resume enrichment to 20 percent or possibly higher. Resume enrichment at Fordow. Iran transformed Fordow, a facility built deep into a mountain near the city of Qom, from a uranium-enrichment site to an isotope production area for 15 years. Iran could resume enriching uranium at Fordow if the deal falls apart. Resume development of advanced centrifuges. Iran’s research and development of more efficient centrifuges is limited to single-machine testing for eight and a half years. Without the deal, Iran would no longer be subject to this enhanced monitoring and verification nor to strict limitations on its nuclear activities. Tehran could ramp up its uranium enrichment activities and move back to where it was in 2013 – capable of producing enough bomb-grade material for a nuclear weapon in 2-3 months or less. Tehran also agreed to permanently forgo certain types of experiments with explosives relevant to developing a nuclear weapon, an agreement that would likely be rescinded if the deal falls apart. Without the deal, Iran would still be legally bound not to pursue nuclear weapons by its ratification of the nuclear Nonproliferation Treaty. While it is unlikely that Iran would move quickly to pursue nuclear weapons, Tehran could move to a position where it could have enough weapons-grade material for a bomb in a matter of weeks. This would raise tensions with the United States and increase the chances of conflict in the region. If Trump walks away from the deal, or attempts to increase the pressure on Iran to negotiate better terms, it is extremely unlikely that he will have sufficient diplomatic support from our negotiating partners—China, France, Germany, Russia, and the United Kingdom—for new sanctions that could generate enough pressure to secure Iran’s agreement. In addition to currently supporting the deal, these countries played a key role in enforcing sanctions that pressured Iran to negotiate over its nuclear program in the first place. Support for U.S. sanctions along with UN and EU restrictions created a web of sanctions that ratcheted up the pressure on Iran’s economic activities and incentivized Tehran to make a deal. Rather than dismantle the deal or seek its renegotiation, the Trump administration should pursue continued implementation of the agreement and ensure that the IAEA has sufficient inspectors on the ground and the necessary resources to keep Iran’s nuclear activities under close observation. It should also look for opportunities to strengthen the deal in the years following the end of core nuclear limitations set by the JCPOA. This could include extending the limits on uranium enrichment activities, building out the innovative monitoring mechanisms, or negotiating separate restrictions on Iran’s ballistic missile programs. As the deal continues to prove successful, the administration could look to regionalize certain restrictions in it. Trump could sell this as a ‘renegotiation’ package, building on the understanding among all parties that the original nuclear deal remains in place and is fully implemented. Trump does not have to face the challenge posed by a nuclear weapons program in Iran—unless he brings it on himself. The consequences of the deal falling apart due to Washington’s actions would be significant. Abandoning it could open the door to a nuclear-armed Iran sooner rather than later and increase the prospect of a costly war in the Middle East. By walking away from the international agreement, Trump would also be sending a dangerous message that United States cannot be trusted to honor its agreements and that the opinions of negotiating partners do not carry any weight in Washington. Under such circumstances, Iran would not be likely to enter into a new agreement with the United States. Note: An earlier version of this referred to General Mattis as "brigadier general." We apologize for the error.